Screen time is not an issue residing only to the confinements of adolescent dorms; it’s a problem that now stretches to every age and gender with no prejudices of any kind. And if you like calling yourself a tech lover, chances are you are pretty much already addicted to your cell phone. Both Google and Apple have acknowledged the excessive screen time of their users. 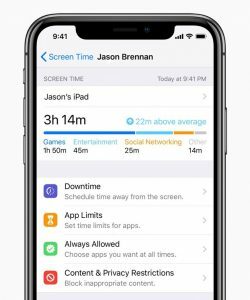 Apple’s latest effort against this predicament was to launch a set of screen time controls in the new iOS that would help its users to watch over their own phone activity and take steps to deal with the excessive screen time. The new iOS 12 update has brought up a few significant changes. If you are currently on an iPhone 8, 8 Plus, X or above, you should probably check the settings on your phone and download the latest iOS. Let’s first look at how the new screen time controls work on the new iOS 12. 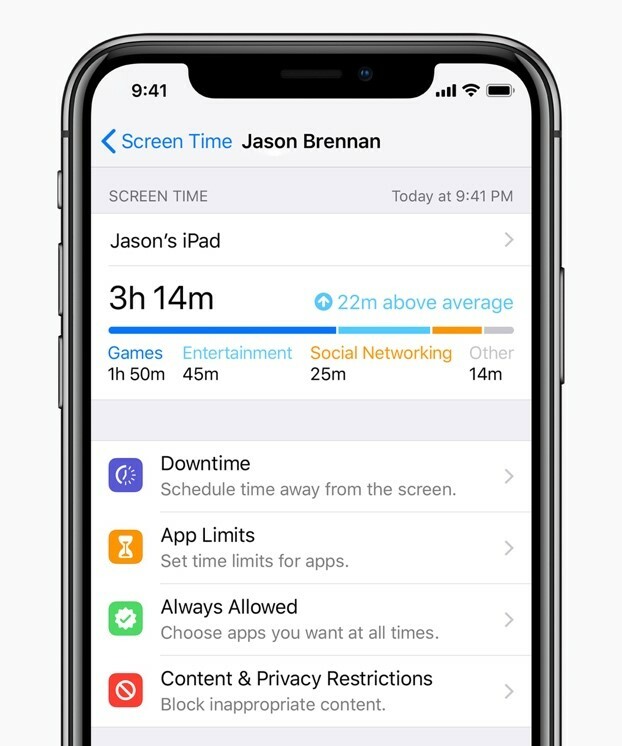 As hinted above, the new iOS 12 screen time management is not just about kids and their screens. Now, even adults will be able to review their weekly cell phone usage as the iOS 12 will be sending them weekly insights on how much time they spent on their iPhone, including how you spent it on particular apps. Once you review your weekly report, you can use the App Limit feature to set the maximum time you would want to spend on a certain app. Once the time limit expires, you will be sent a notification about it on the phone’s display. But you won’t be locked out of an app though. For your children, you could use the new “Downtime” feature. This lets you set a block of time during which your kids won’t be allowed to use certain apps on their phones. During Downtime, notification won’t be displayed but a badge will appear indicating the downtime. Parents will be asked to set a passcode that they’ll be using to adjust the parental control settings or to approve certain requests. But downtime applies only to the apps that are outside the “Always Allowed Apps” list. 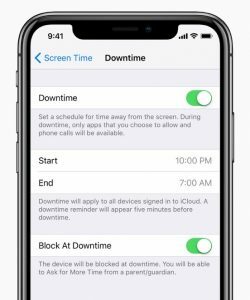 Even after Apple taking care of the screen time issues that we are currently experiencing, the Downtime feature has certain limitations that make it not a perfect way to manage your children’s device usage. For instance, kids will still have access to certain apps like Phone, which means, they can make as many calls as they want to. So if they are not using their favorite apps, they could be calling their favorite people for hours, unless you reconsider the apps that are always allowed on their phone. Yes, you can choose which apps go on the “Always Allowed Apps” list. 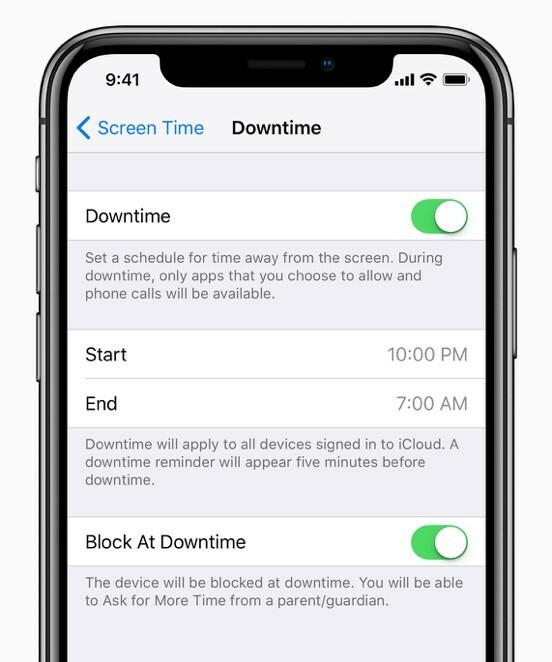 Note that to use these screen time controls on your children’s devices, you, too, will be required to have an iOS device. It does seem like that Apple has tried resolving the screen time issue in its entirety but we do know that something like Xnspy can provide so much more than just remotely locking a child’s device. You can access your children’s texts, emails, IMs, or view photos and videos stored on their iPhones, helping you address other digital threats, like cyberbullying, harassment, phishing, etc. that your kids are actively confronting in their online world. We love the new iOS 12 and we want you to download it right away. Remember that you need iOS 12 on your phone and that of your child’s phone, too, to use these new parental controls. That’s not the case when you use XNSPY though. You can manage your children’s iOS devices from anywhere; you just need a web browser with Xnspy’s control panel logged in with your account.